Holy cow! How did it get to be December already? 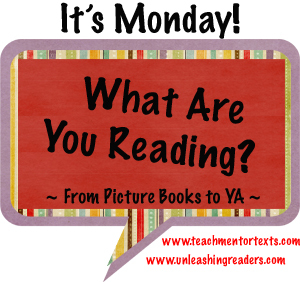 I missed my It's Monday post last week because I had just returned from NCTE and I was beat. Check out my NCTE recap, complete with video and Storify. Just when you think there is nowhere else to go with an alphabet book, Oliver Jeffers creates something new and innovative. 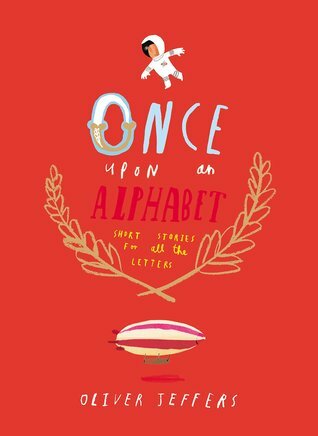 As each letter gets its own short story in Once Upon and Alphabet, you slowly begin to see that some stories weave in and out of each other. Oh the possibilities for using this as a mentor text in the classroom. My goal is to finish this book this week. I've been reading it far too long. I am still enjoying it, but there is just far too much reading I have to do for my grad classes. This is a book I read when it first came out but I'm re-reading it for my prizing children's literature class. I'm not enjoying it as much the second time around as I did the first time. Probably because I know how it ends and the "whodunnit." I love the Guys Read series, but I haven't caught this one yet. The Oliver Jeffers alphabet book looks good. Check out what I've been reading here. I didn't care for Shine very much. I have been reading Winger way too long either. I read the first third in one sitting, and then put the book down for about a month--and when I picked it back up again, I really struggled to get back into it. I've read a few more pages but I'm going to have to make a concentrated effort to push through. I'm sad that I did this to my reading experience because I really loved the first third that I read in one sitting! I bought the Oliver Jeffers book a couple of weeks ago--hoping to read it this week! I was at a panel discussion with Tim Federle - so glad that I had a chance to listen to him and learn about his books! NEED to read Nate! I have it at school, but I really need to read it! I look forward to Once Upon an Alphabet as I think Oliver Jeffers is a genius. 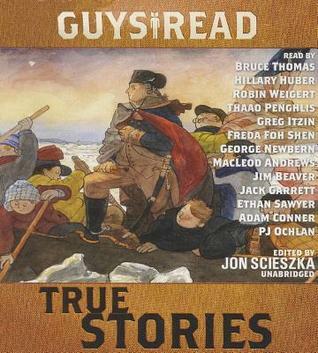 Need to get the newest Guys Read. I really liked that series. Glad you are enjoying Winger. I love the cartoons and Ryan Dean is a deeper character than he seems. 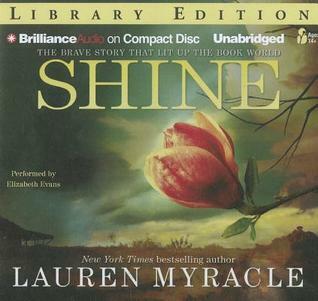 And I loved Shine, but I can understand how the suspense goes away on the second read; however, I just adore Lauren's writing. Beth - Once Upon the Alphabet is a one of my favorites of the year as well! Such a clever book! I do not know Winger or Shine. I like Whodunit's so I may check out Shine. Winger sounds too long! Thanks for sharing these! 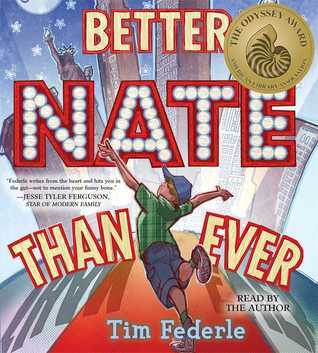 I love love love Tim Federle and both the Nate books. We've got once upon an Alphabet in the library, but I haven't managed to more than peruse a few pages. I really have to get to it since I keep ready so much good stuff about it. I sped through Winger in less than a week, but wasn't taking a class at the time. I enjoyed it. Better Nate Than Ever was great. I want to get to the second one. Shine was not a bad book, but I had several issues with it. Make it Ahead looks fantastic. I'm going to have to get my hands on that one for sure - gingered basmati sounds delicious. 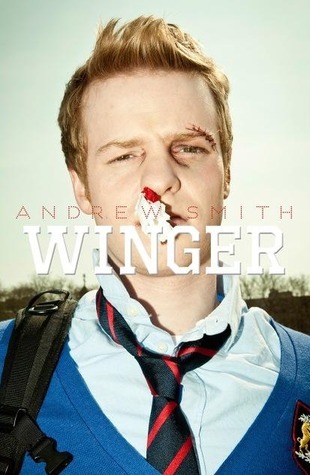 I loved Winger but had a big chunk of time and really got into it. This character is some kid. Hope it begins to speak to you. Love Nate too. I haven't read Once Upon the Alphabet yet. It is calling me though!